Nothing says “I love you” better than food. 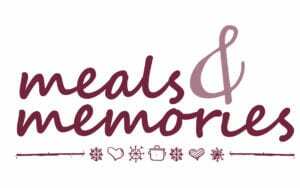 Join us at Meals & Memories, a new tradition to help children, teens and their families navigate the holidays after losing a loved one. The day will include sharing meals that were special to you and your loved one. We’ll spend time celebrating the fond memories that these meals bring to mind. Then, we’ll create crafts to commemorate your loved one in festive holiday style. Drinks & snacks will be provided. All children must be accompanied by at least 1 adult. The recipe for a cookbook that will be created and shared after the event.